€236.95+ Whats this, a gaming PC for ants?! Slim and stylish looking. Easy to build in it. 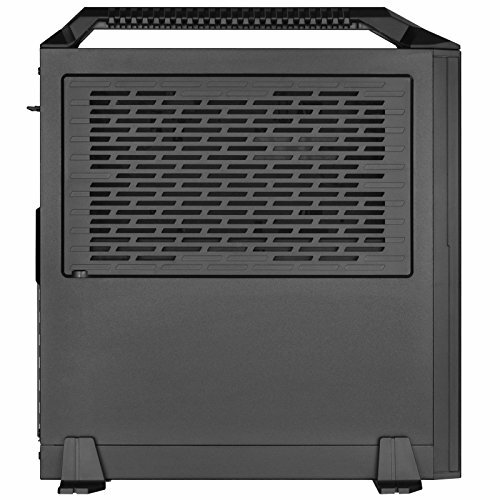 Open air design and has very good quality dust filters on both side panels. Comes with a handle for carrying it around with ease. Pros: Sturdy, light, and fairly easy to move around. Cons: The handle is made of plastic and the grip kind of digs into my hand while carrying. For a first case, this was probably not the best to start off with, due to tight cable management, but it has room for a graphics card down the road and is fairly portable. 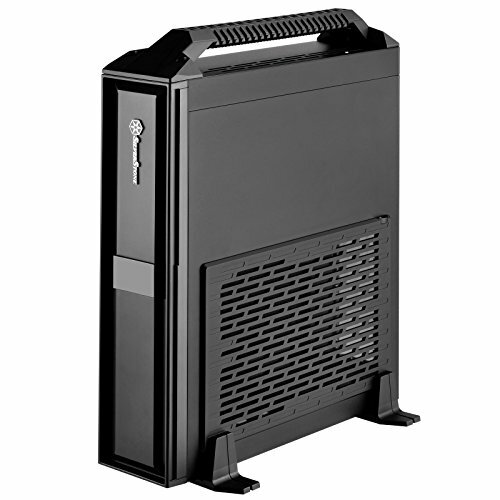 Cons: - Silverstone SX500-LG 500W SFX-L PSU has issues fitting with the internal power cord. See photos of my build. I feel this is fair to mention since it is from the same company and you'd think it would be designed to fit this case or vice versa. 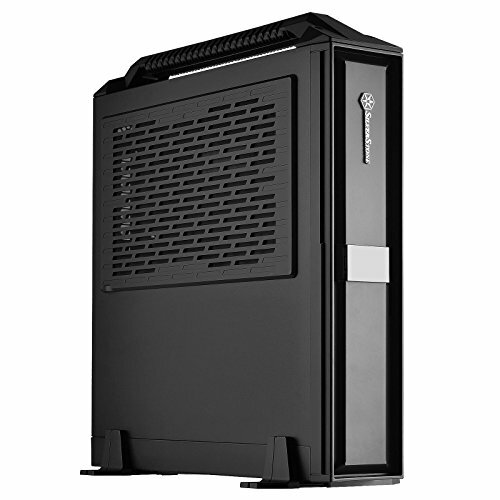 I ended up switching to the Corsair 450W which I much prefer now. - Included feet are terrible, as they don't physically attach and fall off easily. I ended up just not using them. It's stable without them unless something really knocks into it hard. - Video card case side cannot be removed without removing the handle which is 4 additional screws. Minor quibble. - 2.5" screwless HDD trays are badly designed and seem cheap. They are an awkward distance apart for using 1 power cable. The HDDs only fit one way (seemingly backwards) and it isn't obvious unless you look really closely. RTFM I guess. Honestly, some normal carriages with screws would have been totally fine. It's not like you're in there changing them a lot. Summary - I listed a lot of cons just because I feel they are useful comments for anyone building with this case. But, overall, I am extremely happy with it. I Love this case. it's well laid out, cools well for it's size, understated but slick appearance, solidly built to low tolerances. the biggest downer is the slightly naff handle (I wrapped tennis racket tape round mine and it looks very nice now) and the somewhat dodgy foot brackets. from completed build Almost a Laptop? Not all of the vents have filters, the metal side panels came partially bent, and while expected, I still don't understand why there are no case fans on the top. The front panel LEDs don't function correctly either... Be that as it may, the case is rather unique and for only $80 I'll only deduct one star. 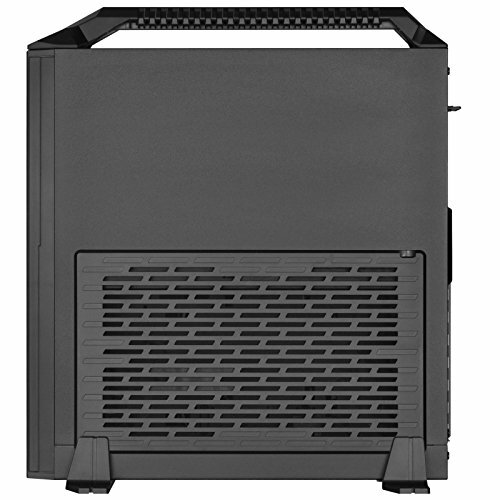 Nice Mini-ITX case with a thoughtful arrangement and a pleasant exterior. The handle is nicer than I expected as well. Great case for a semi-portable build. 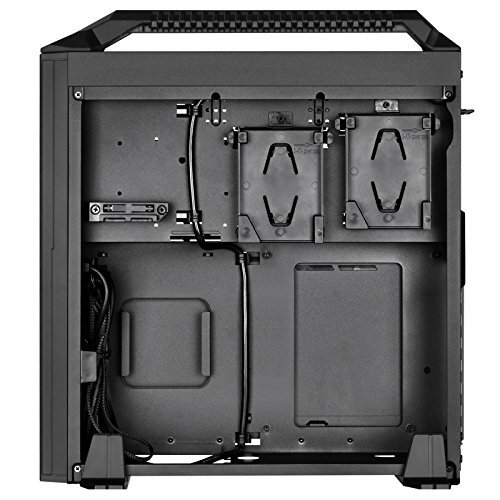 Plenty of room to build a powerful computer, great cooling and incredibly easy access to internals. A truly brilliant design. The split up CPU and GPU compartments allow for some really fun stuff, and help to completely negate the thermal concerns inherent in an ITX build. The thinness is very, very impressive. That being said, the GPU compartment could be much better ventilated. 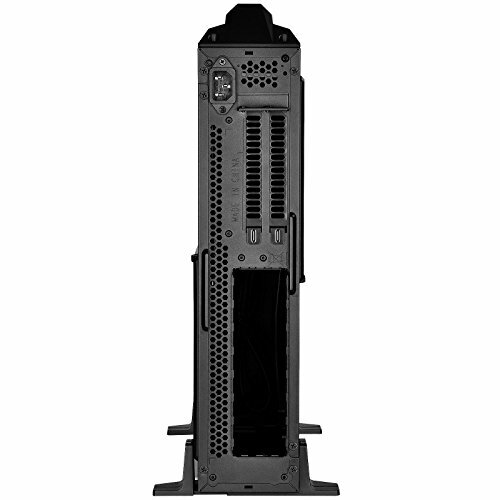 Many owners have retrofitted it with 3x 80mm fans, which really should've been done by Silverstone. Also, it would be improved by adding just 5mm to the side measurement. Reason being, virtually any low profile CPU cooler would work, and be able to use a 25mm wide fan at the same time. from completed build Sleeping Dragon (Stealth Gamer) ¡UPDATE 2019! This case really turned out to be everything I had hoped for. It is super-easy to build in and, as long as you stick to mid-level components, also very quiet and cool. 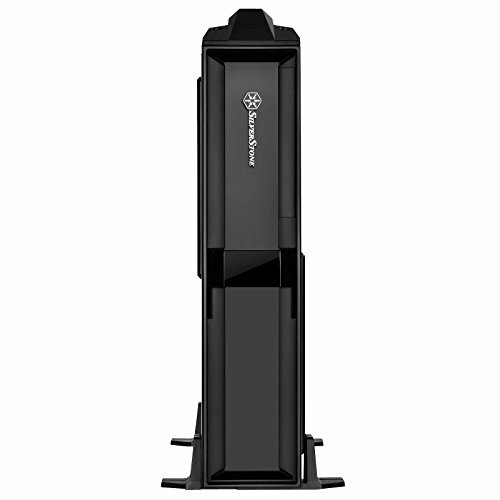 The small form factor and carrying handle make it very portable for both carrying around and when cleaning around the desk. All-in-all I am very pleased and don't regret the hours of extra research needed to find fitting components. A few DIY things here and there made everything work though, so it's all good.